British Somaliland Protectorate was under British rule for almost a century. It gained its independence as the STATE OF SOMALILAND on June 26, 1960, and after a few days we were hijacked by a small of group of people into the darkest history and events that we have experienced up to the present day. Despite of a century of British rule, for some reason, the British never tried to develop the country and left it as it was before the colony with little enlightenment and infrastructure. I do not go into details of the whole history before and after British Colony, nevertheless, I would like to emphasize the present and the future of Somaliland. See the figure below to get some insight into the Map of Somaliland. Be aware that the name Somalia was formed on the day of the unification (July 1st, 1960) of Northern and Southern Somalia. Italian Somaliland and British Somaliland became Somalia. It has never happened in the world that a colonized country for that long period of time to be left without development of the basic needs and infrastructure. What is even worse happened during the years ending 1991, the year of the fall of the dictator. I would like to recall the unfortunate premeditated economic war against us, and worst of all, the brain drain, the suppression, and the theft of resources and neglect of the infrastructure. Let me begin with the economic disaster. It started with the establishment of the nationalization of the banks and other institutions and the transfer of trade licenses to the capital, Mogadisho. The import process and applications were moved to Mogadisho and this created the business people to move to the capital. Jobs in private sector also moved with them. The only port, Berbera port, was almost deserted. Private business in Somaliland was completely stagnant and inexistent. Roads which were repaired on constant basis by the coolies hired by the British became valleys and waterways. Travelling between cities became time consuming and dangerous. Communication was almost insignificant. Electricity was a commodity. Worst of all was the brain drain. We had no universities and colleges. Those of us who graduated from the few high schools in Somaliland were going to Mogadisho for higher education and in search for jobs. Landing in Universities, colleges, or jobs was a luxury and hardly to get it. Returning to Somaliland was out of question because no businesses and no jobs were available in the northern cities. Jobs, businesses, and higher education were all centralized and run from the capital and within Southern regions of Somalia. NGOs as they were called were government run agencies. These agencies were responsible for the poverty and business and brain exportation from the Somaliland. All decision making became centralized in the capital. The Somalilanders who either graduate from a university or a college were given jobs in the South and very few of us were able to return to Somaliland. The Somalilanders who were government employees including teachers were all transferred to South and replaced by some unknown, cruel, and selfish people from the South. This has resulted in the abuse of power and suppression which in turn caused the flight of the majority of Somalilanders from the country and the fight for independence. The effect of the abuse of power, the loss of human resources, and the businesses was so profound that the Somaliland people could not resist longer and rose against the government. The brave men and women who formed the SNM and fought in order to end the indiscriminate raids, bombing campaigns, and abuses are the ones who will be seen as liberators. After the liberation of Somaliland from the crib of the Dictator and his army, negotiations started among the Somalilanders. The first conference as I recall, occurred in Borama where the politicians and elders from the tribes held a meeting of reconciliation and cessation of hostilities among Somaliland tribes. The late Abdirahaman Tuur was the first president of Somaliland. Mohamed Hajji Ibrahim Egal was appointed as his successor on May 16, 1993 by the Grand Conference of National Reconciliation in Borama, which met for four months and led to gradual improvement in security. Egal was re-appointed in 1997, and remained in power until his death on May 3, 2002. 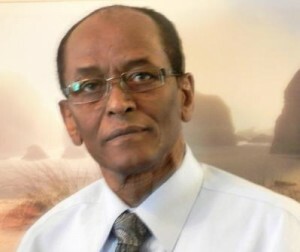 The vice president, Dahir Rayaale Kaahin was sworn in as president shortly afterwards, and in 2003, Kaahin became the first Somaliland president to be elected in a free and fair election. 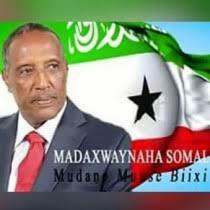 Today under President Silaanyo, Somaliland is independent, peaceful, and secure. The Somaliland army along with the Somaliland Police Force are ready to make sure that our young democracy is save from foreign and internal intervention. Businesses are flourishing, telecommunications has grown, basic necessities are coming back, and jobs are gradually coming to life. Universities are abundant. Even though we have reached a point of no return from being a nation, there are many obstacles ahead. Some of them are the pressures from International Communities. The United Nations sees our intentions and our success. The whole world recognizes our success with our limited resources and with the hard work of our people. They view as an exemplary and would like to recognize us as a nation, however, there are other forces and circumstances contrary to our indpendence. The fact that the international communities are reluctant to recognize us, the recognition itself is in our hands and in our unity. No one can stand against the wishes of the people, but we have to realize that in order to continue in our path, there should be a lot of sacrifices from all individuals and tribes. We have to put aside our differences and self ambitions and travel together peacefully towards realization of our independence. Our independence depends on how much each clan swallows its pride and majority attitude. There are a lot of arguments among us and some of us are enemies to our cause but we need to be aware of our sacrifices and history. The stakes are high. Any president of Somaliland will face numerous challenges ahead and should be aware of the thorny issues: Will Somaliland be part of Somalia? All the proposals and lobbying have so far failed thanks to the determination of the present Government. How can we convince the international community of our agenda and determination for sovereignty? The answer lies in our people’s determination and right of freedom and in their unity. Recognition lies in the hands of Somalilanders first and secondly through a national agenda for power-sharing, unanimity, consensus, and all-outreach campaign for unity.